Popular Vehicle Alert! This 2012 Land Rover LR4 has been viewed by 110 shoppers in last 21 days. 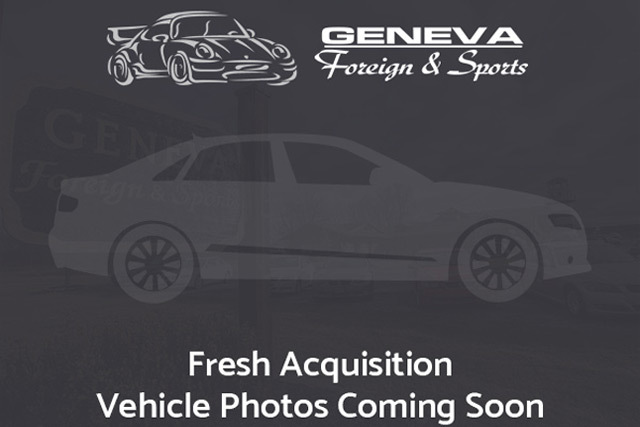 I wish to receive emails from Geneva Foreign & Sports regarding this Used Land Rover LR4. I would like to schedule an appointment for a test drive on the 2012 Land Rover LR4 stk # CA624110. Drive home in your new pre-owned vehicle with the knowledge you’re fully backed by the CARFAX Buyback Guarantee. With this exceptional SUV, you’ll get sport, utility, and comfort. Opulent refinements married with exceptional engineering make this the kind of car you’ll want to own for a lifetime. This Land Rover LR4 LUX comes equipped with all wheel drive, which means no limitations as to how or where you can drive. Different terrains and varying weather conditions will have little effect as to how this vehicle performs. This Land Rover LR4 is equipped with navigation, so you no longer have to wonder if you’re headed in the right direction. If you are looking for a pre-owned vehicle that looks brand-new, look no further than this Santorini Black Metallic Land Rover LR4. You’ll instantly stand out with this hard-to-find 2012 Land Rover LR4 LUX. Be sure to prepare yourself to get noticed in this ultra rare Land Rover LR4. The LR4 delivers the upscale interior and 4-wheel-drive capability upon which Land Rover has built its reputation over the decades. The big V8 engine is potent and efficient, the interior is luxuriously appointed with goodies like leather seats and dual-zone climate control and the Terrain Response system and hill descent control make the LR4 more than capable of taking on the toughest trails. In other words, the LR4 is pure Land Rover and sets the bar high for luxury off-road competitors from Europe and Japan. Stop by Geneva Foreign & Sports Geneva, NY and check out this Used 2012 Land Rover LR4 stk#CA624110 today. With All Wheel Drive capabilities and a 5.0L DOHC SMPI 32-Valve Aluminum Alloy V8 Engine this LR4 won’t last long.